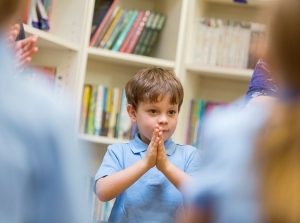 with all of the key prayers that they will need during their religious education and development. Suitable for pupils from the age of 5 upwards. Contents are regularly reviewed and updated to ensure that they remain inline with current requirements. 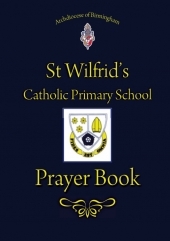 The covers can also be customised on the inside, to include the school prayer or hymn, a message from the head or school contact details. 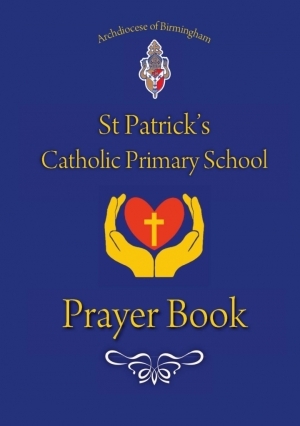 Makes the perfect gift for First Holy Communion or for those joining or leaving the school. 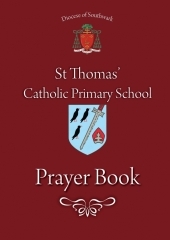 Recommended for use by the Birmingham Diocesan Education Department. 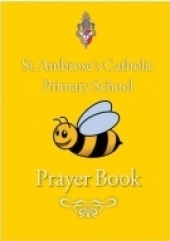 "These are a valuable learning resource for the school and a lovely gift for the children to keep and use when they leave"
Click to see the contents of our standard prayer book or have a look at our new colour version which now incoporates the full colour artwork of Sarah Quinn. 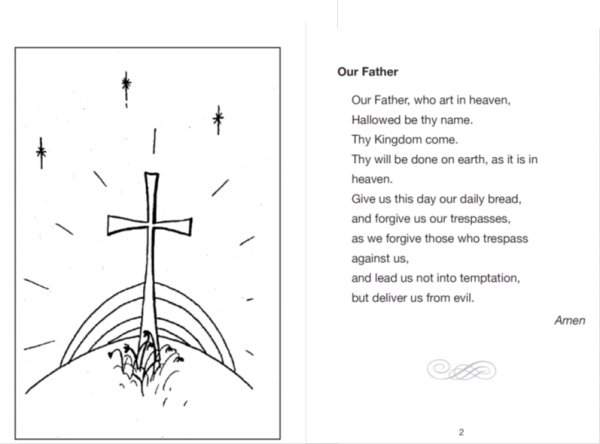 Download a copy of our Order Form send it back to us, along with your details and details of your design. 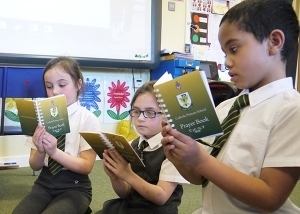 Attach your school crest and we will do the rest. Any questions just call us, we are always happy to help! Here are some of our previous cover designs which might provide you with some inspiration.